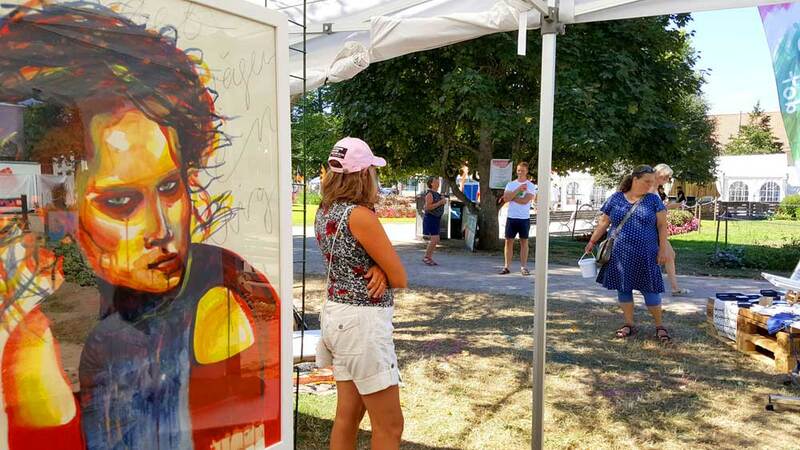 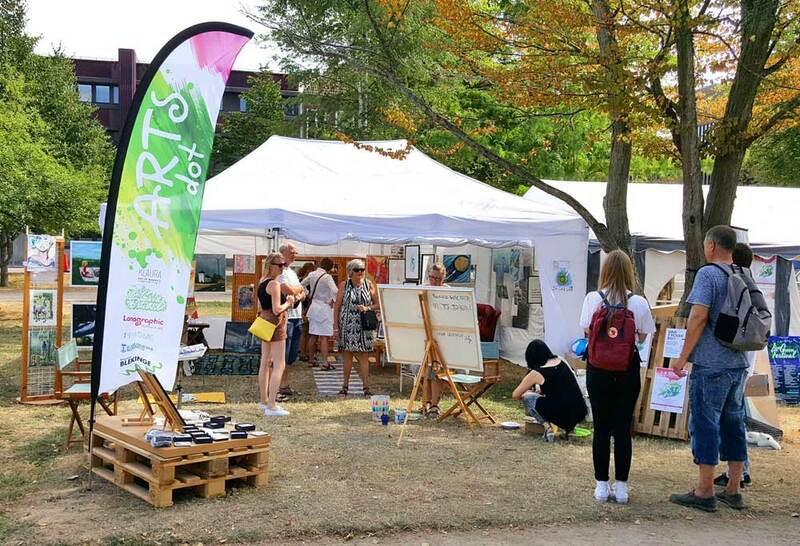 The Arts Dot is a meeting point for arts, artists and art lovers, here you can see and buy artwork from local and international artists and enjoy the inspirational atmosphere. 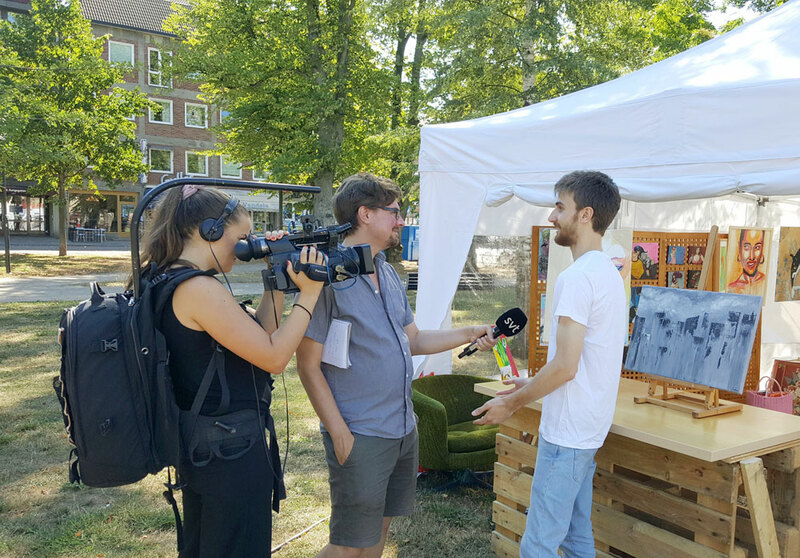 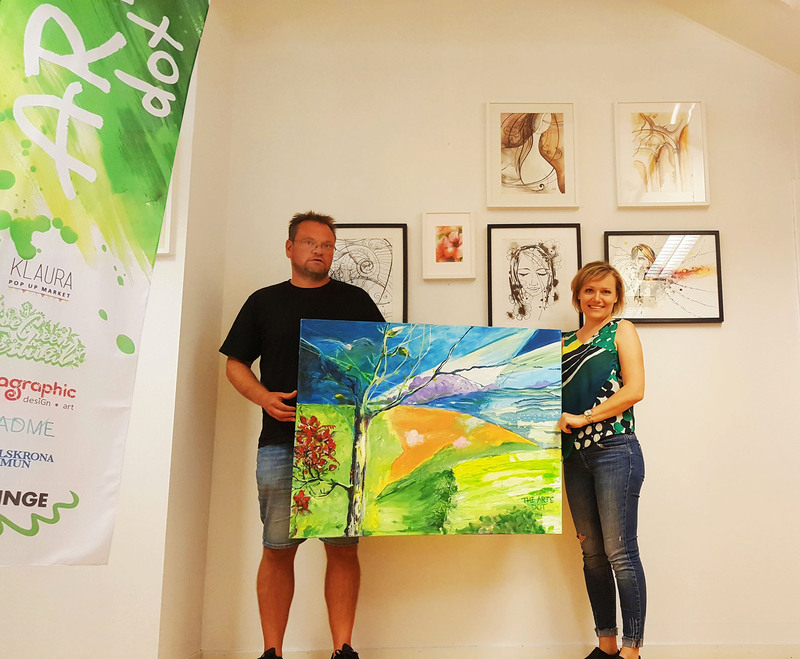 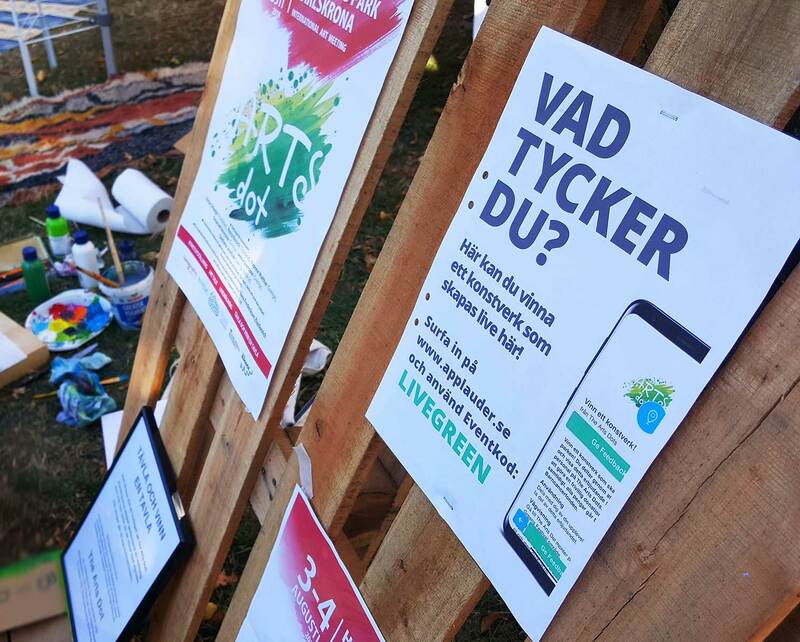 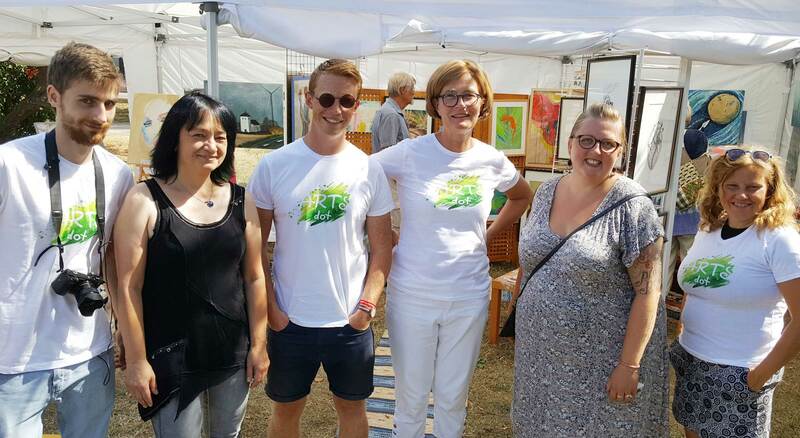 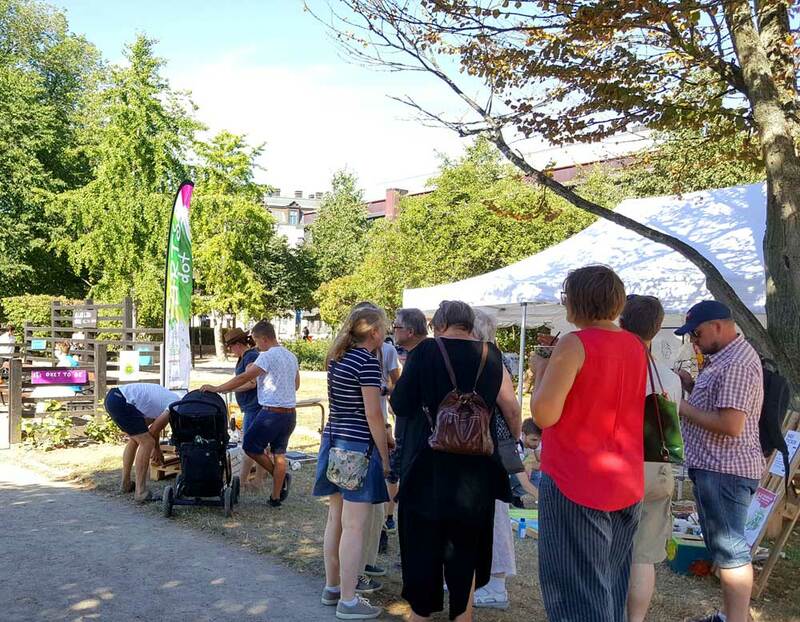 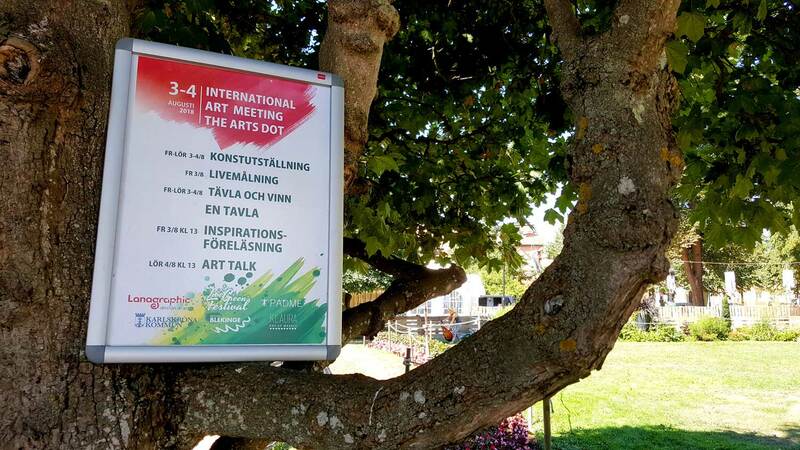 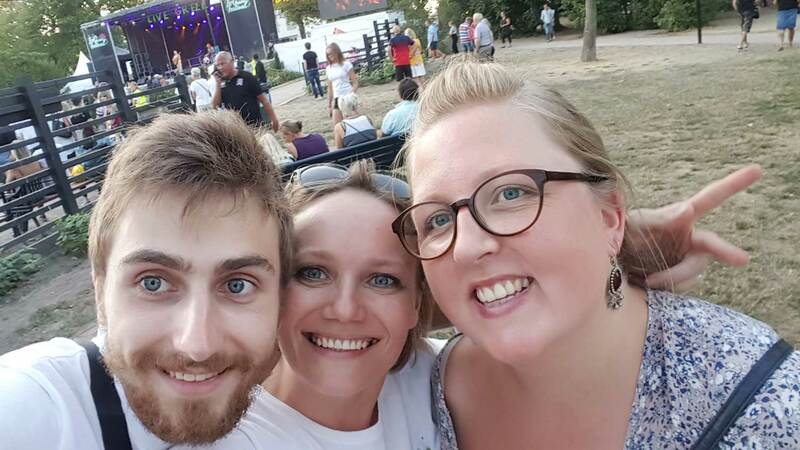 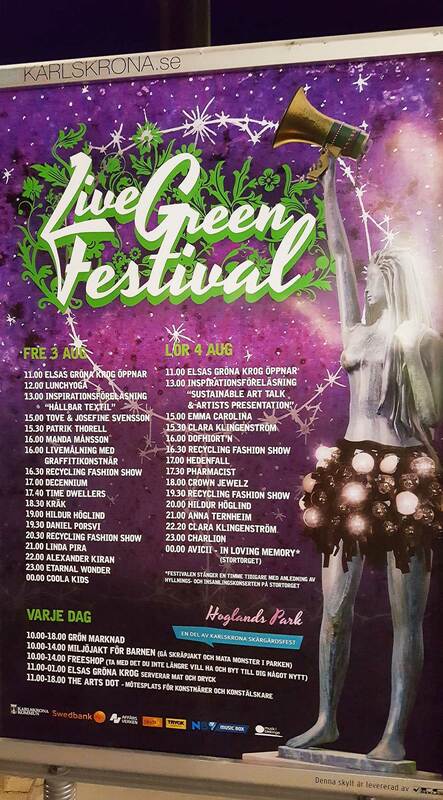 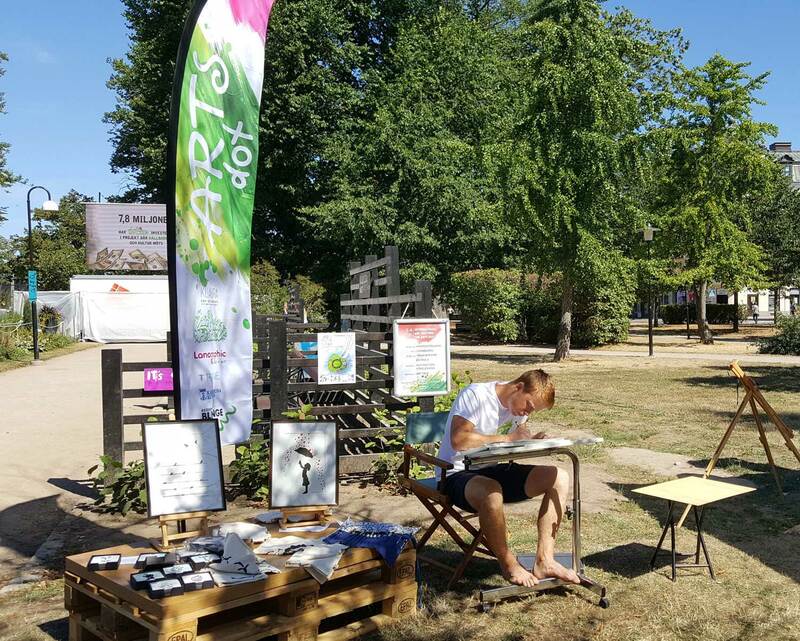 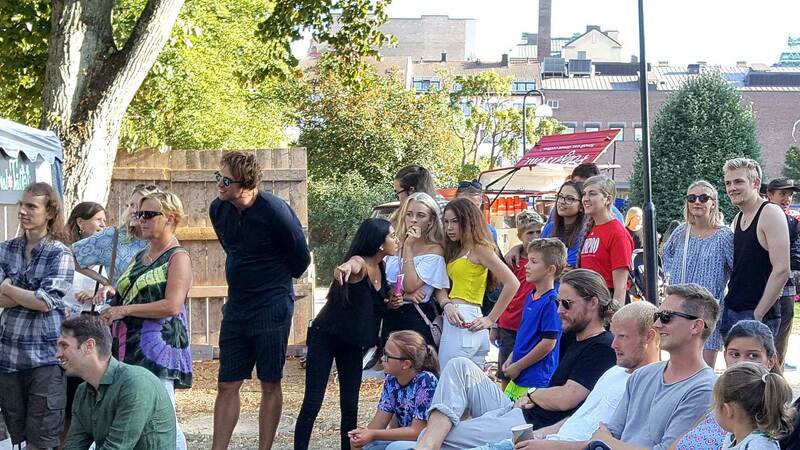 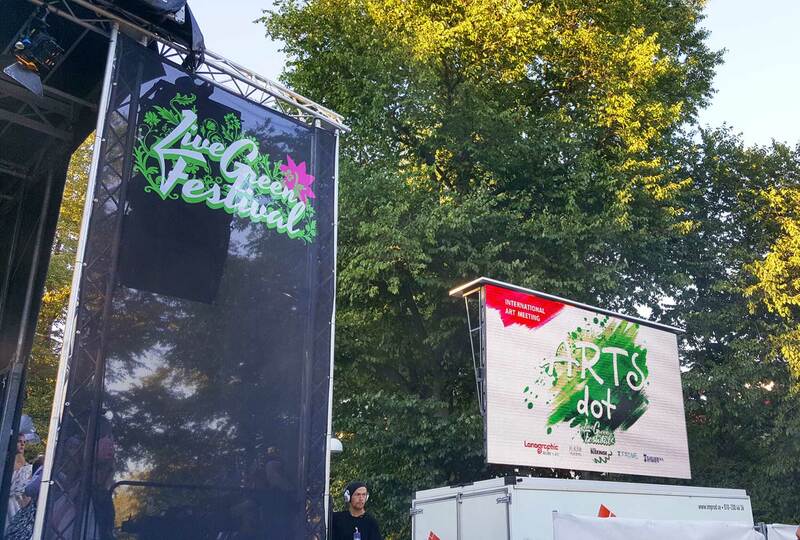 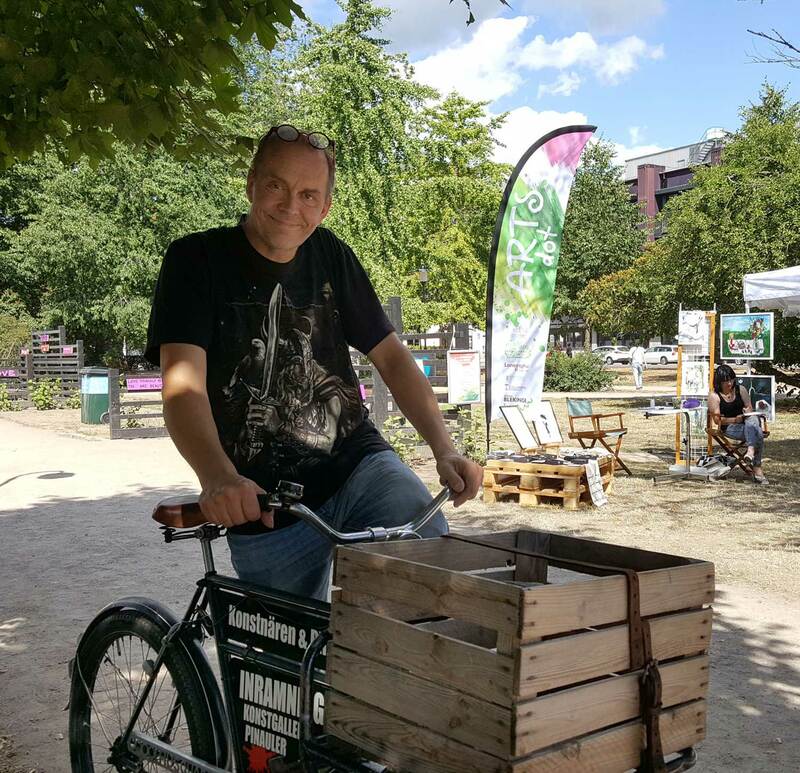 The Arts Dot is a part of the annual Live Green Festival that is a two-day festival of art, culture, atmospheric and world-class live music and sustainability held at Hoglands park, a central Karlskrona landmark during the Karlskrona Archipelago Festival. 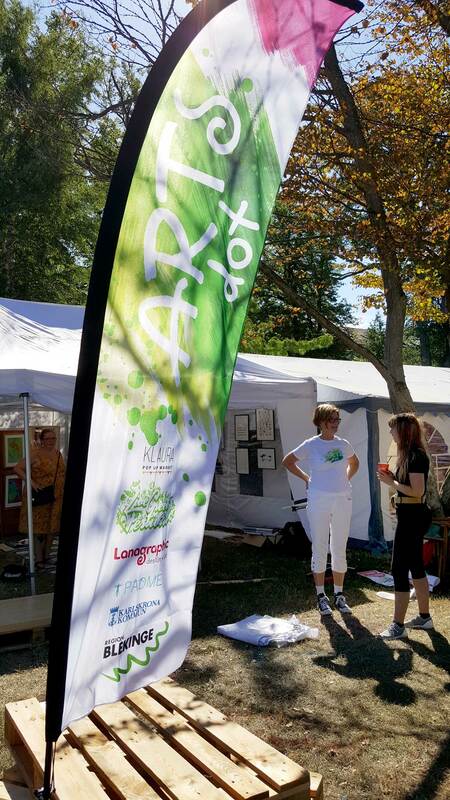 The Arts Dot invites artists and visitors to take part in a variety of activities seeking lively interaction. 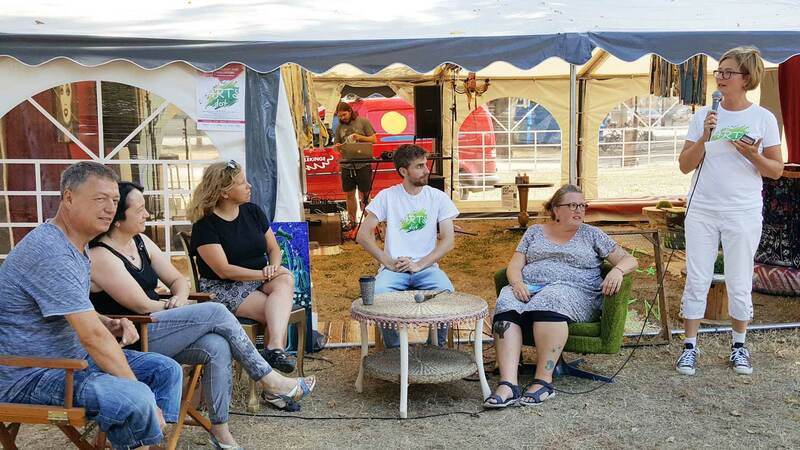 Open up new encounters establishing a sense of community! 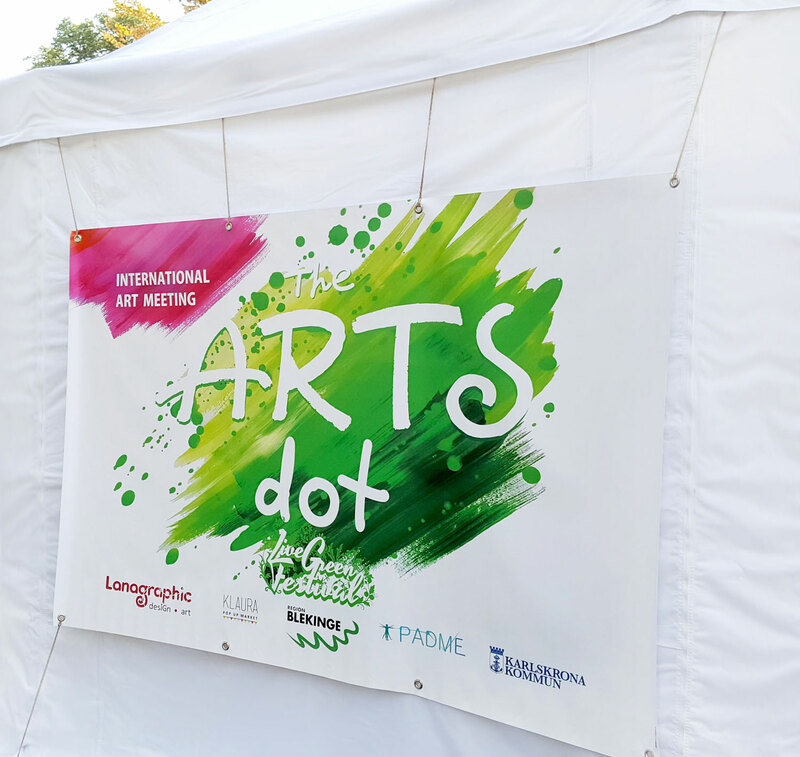 The Arts Dot brings together artists, collecting original artworks accessible to everyone. 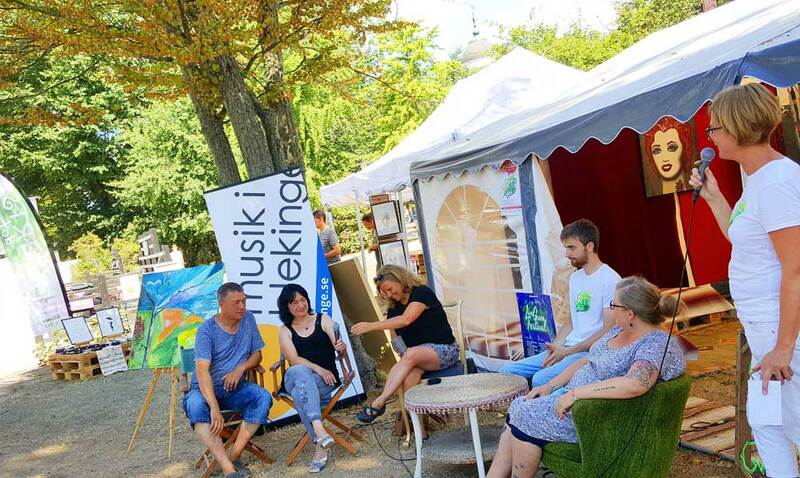 Is a platform for networking, gather together, exchange ideas with possibilities of work cooperation. 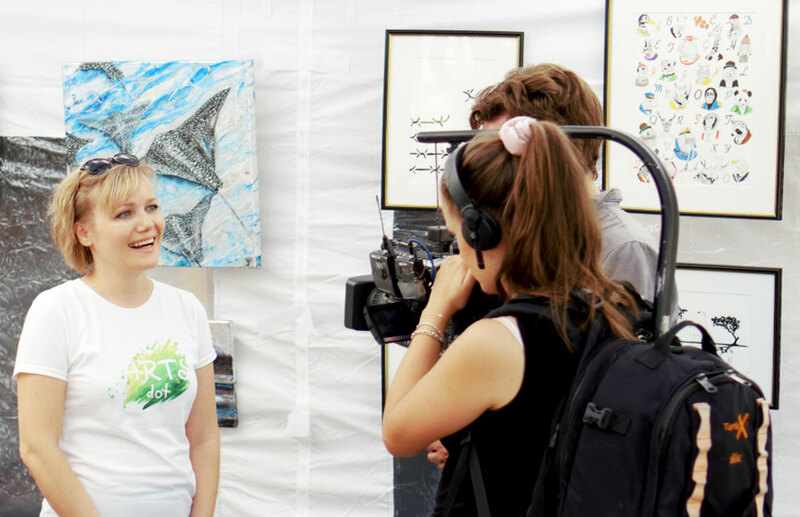 Do communicate, discuss, engage and share their vision. 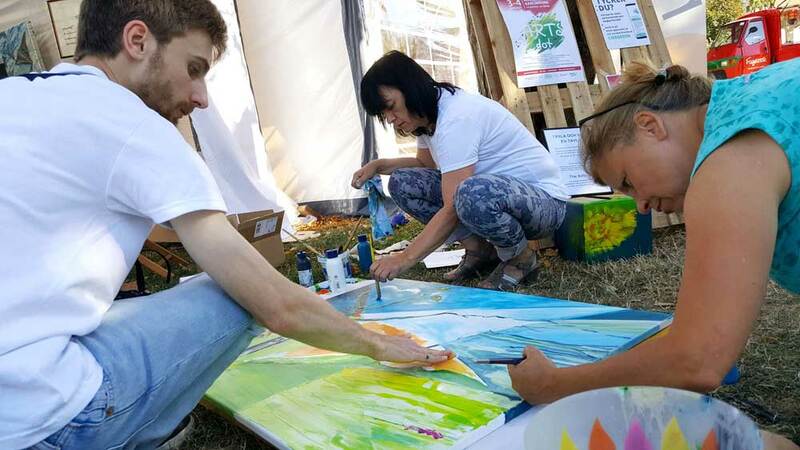 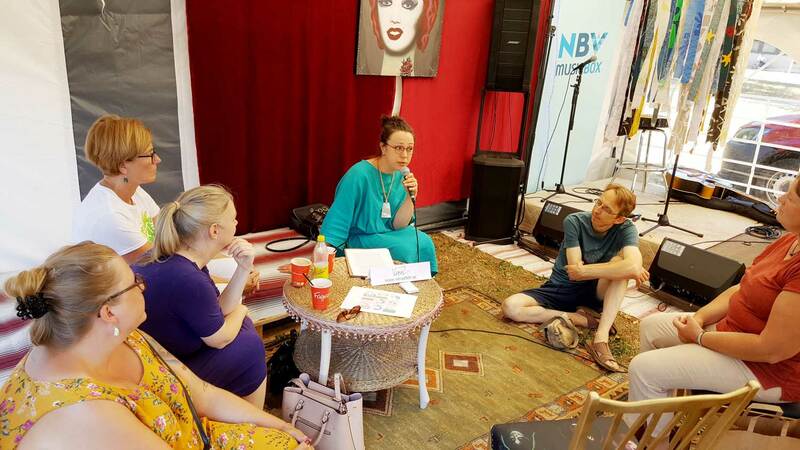 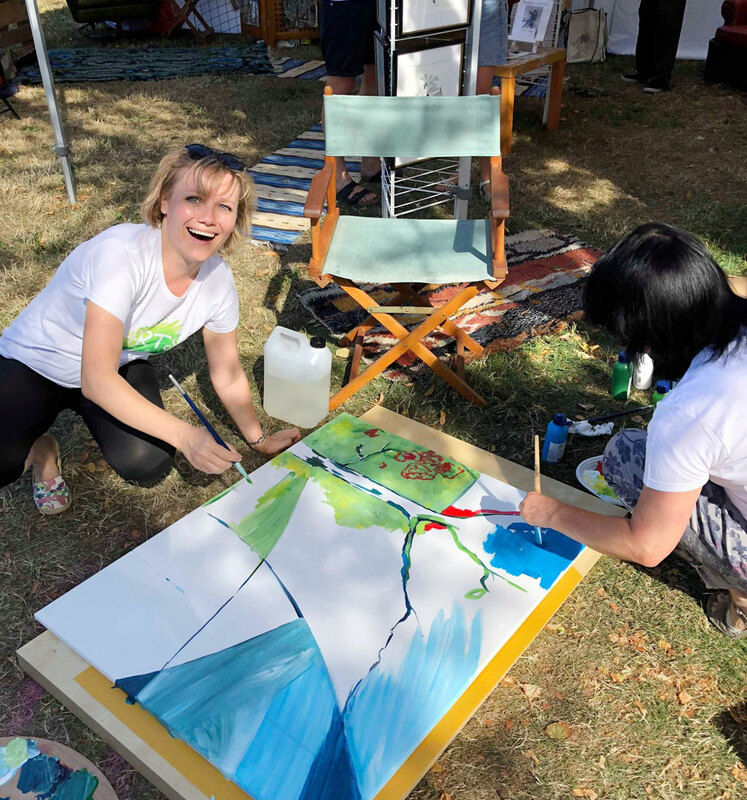 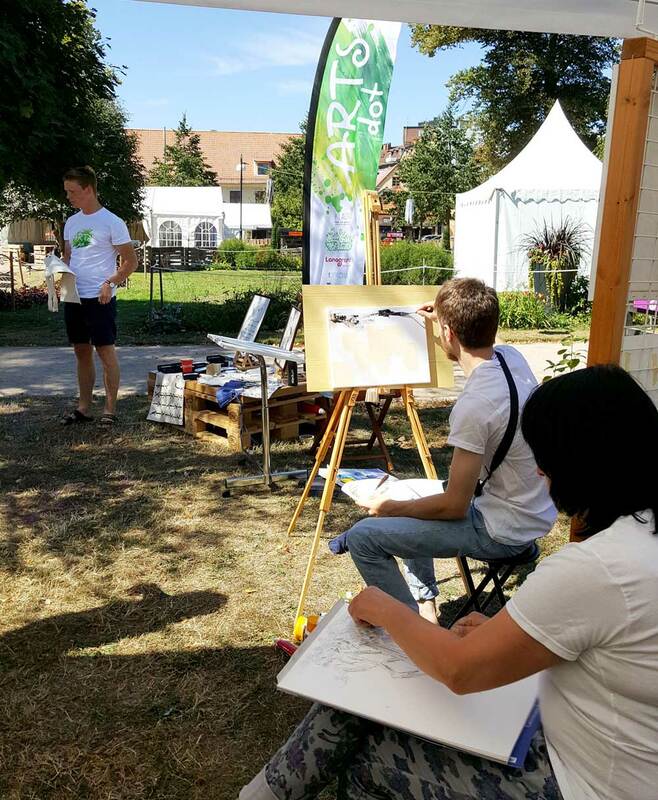 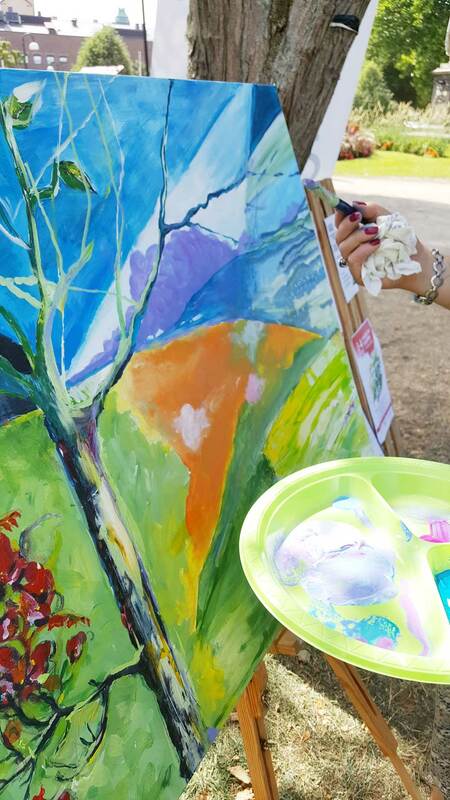 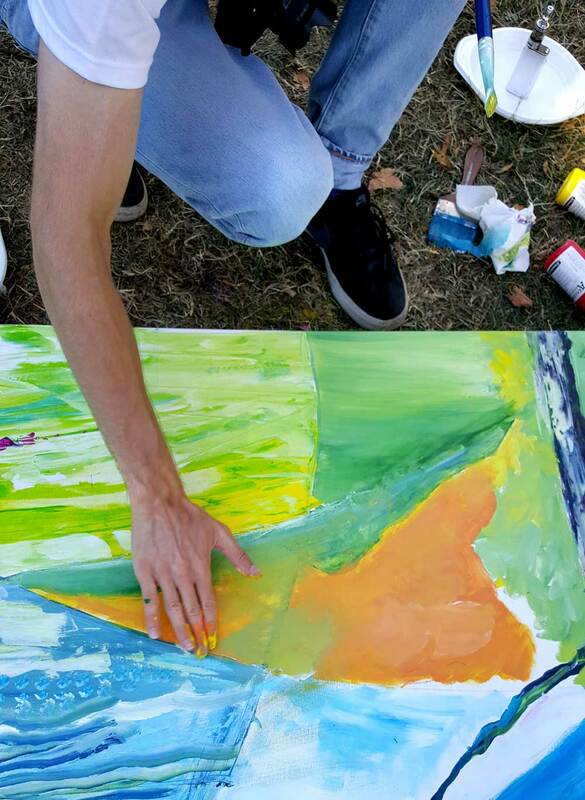 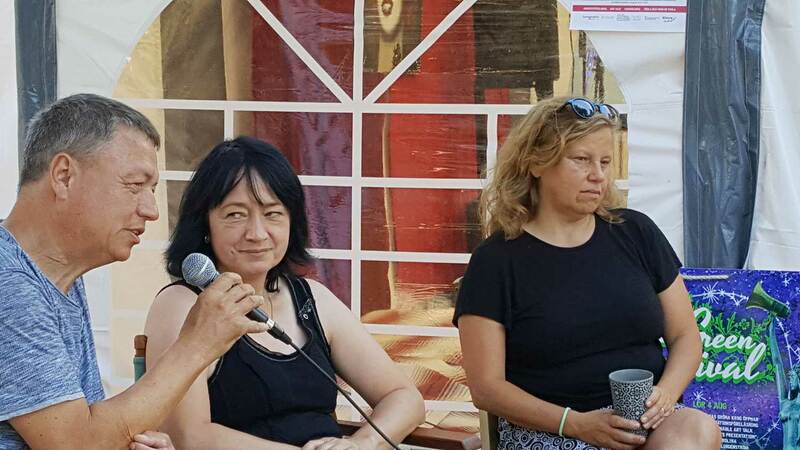 Artists Jenny Svensson SE, Victor Schegin FR, Yvonne Walther SE, Petra Kossick DE and Svetlana Leuchuk SE-BLR created a joint painting live during the festival. 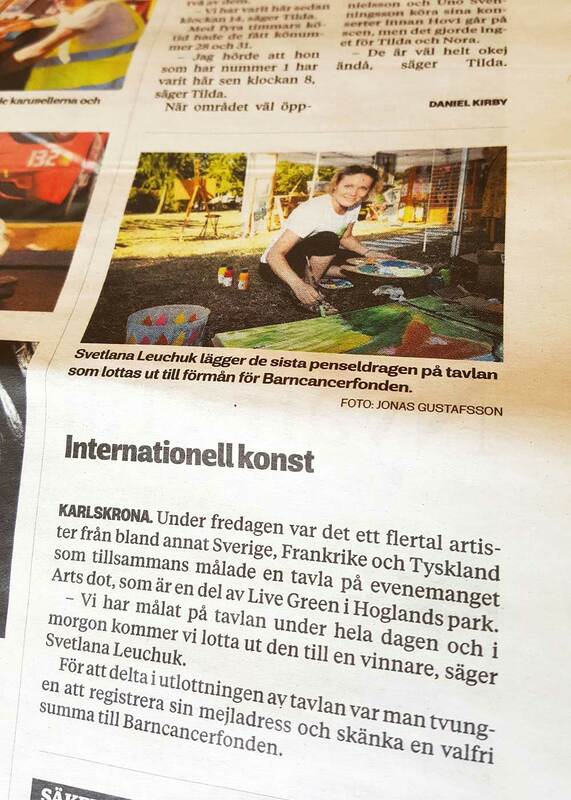 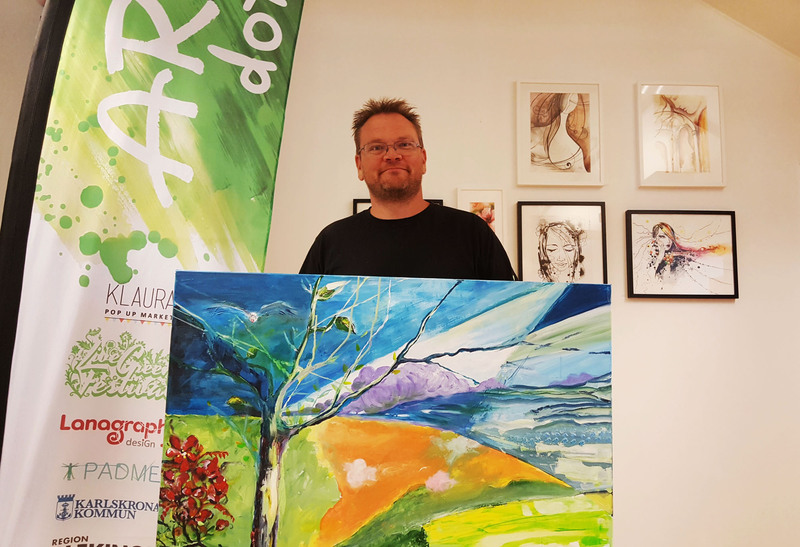 The painting participated in a lottery contest, collected money went to the Swedish Children’s Cancer Fund.